A great software tool, that sets up a php file for creating quick and easy contact or support forms for your web site with maximum function. 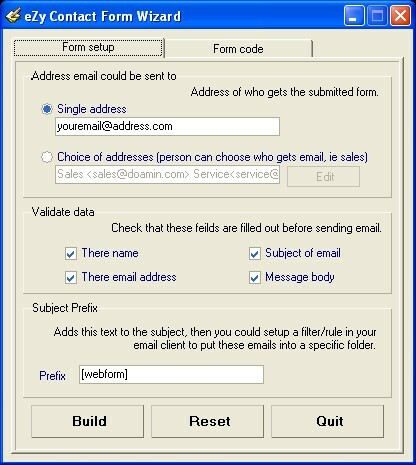 You can either set 1 receiver email address or you can give the sender a choice between several email receiver addresses. Contact forms like this are a great way of avoiding spam - your email address isn't put into the html. You can also setup a prefix for the email subject for easy sorting your incoming emails.